After a busy (but very fun) day, I got back in the house to find these babies waiting for me..
Basically, everyone forgets about us in the North East and we usually get neglected by all the good chains.. we only just got an Urban Outfitters in December!! 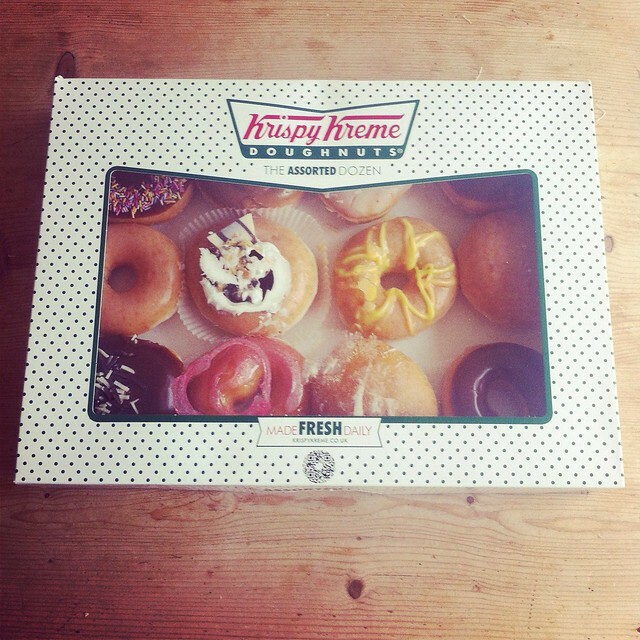 Luckily, the folks at Krispy Kreme have decided that we’re important enough to be blessed with excellent donuts so they’re opening a shop in the Metro Centre. Hurray! Donuts all round! So in order to celebrate the opening, their PR folks got in touch with me to invite me along next month and asked me if I’d like some free donuts in the mean time.. erm, yes! I expected maybe one or two to arrive but no, they sent me a dozen. A DOZEN. 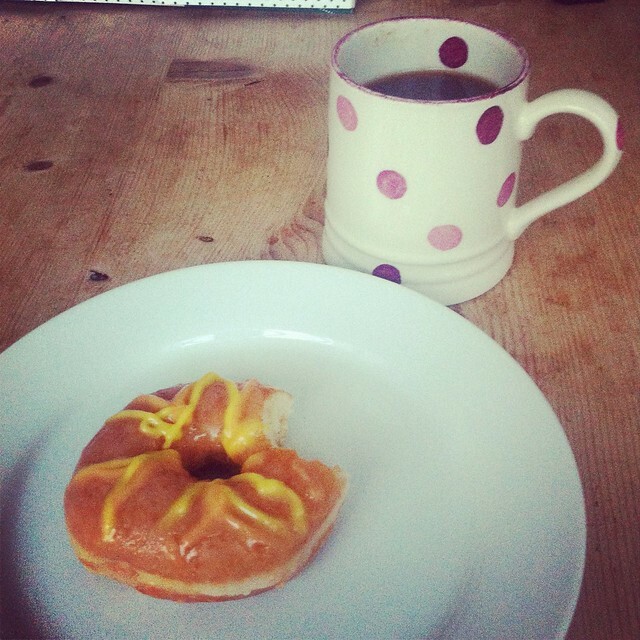 Now I want you to be honest with me (because I always try to be honest with you), is it wrong that my tea tonight consisted of 2 donuts and a coffee? It’s a bit of a lazy tea but I’ve had a few bits and pieces to play around with for a new project that I’m involved with.. Basically it’s an internship programme called Shift, which is being funded by Studio Precept, a Newcastle-based creative agency. I’m helping out with the social media side of things and so any support you can give me by following us on twitter or liking us on facebook would be gratefully appreciated. It’s still in its early stages at the moment but I’m just busy getting Shift’s blog set up and writing copy for the first couple of posts. I’m hoping that pretty soon I’ll be able to give you more updates.. By the way, if there is anyone in the North East reading this who thinks that they want to get involved just drop me an email or tweet me. Now back to the donuts.. I need someone to eat the rest of the box now though otherwise I’m going to become obese. Luckily I’m probably going to be stopping by The Crack Magazine HQ in the next couple of days and they always like it when I bring along treats! Previous Post Trips to the seaside, sewing machines and Italian ice cream..
Heehee, it's okay to indulge yourself every once in a while. 🙂 Haven't had Krispy Kremes in so long – we pretty much only have Dunkin' Donuts here, but they're still yummyyy. Bring them to love lane!!!!! Haven't had a Krispy Kreme for years, they were giving them out in Newcastle last week but I didn't want them enough to stand in a huge queue! So jealous! Though maybe it's for the best they don't arrive in permanent residence in Glasgow – I'd be the soze of a house! Every time I go to London I pick up a dozen of the glazed ones to bring home, and they magically disapppear within about 4 days! I eat two original glazed donuts when I go to KK so that's perfectly normal. I already liked the facebook page and I am sort of envious with your new project. I've always wanted to work in anything that involves writing or something in line to my degree.